Would you like to make a gift in honor or memory of someone dear to you? 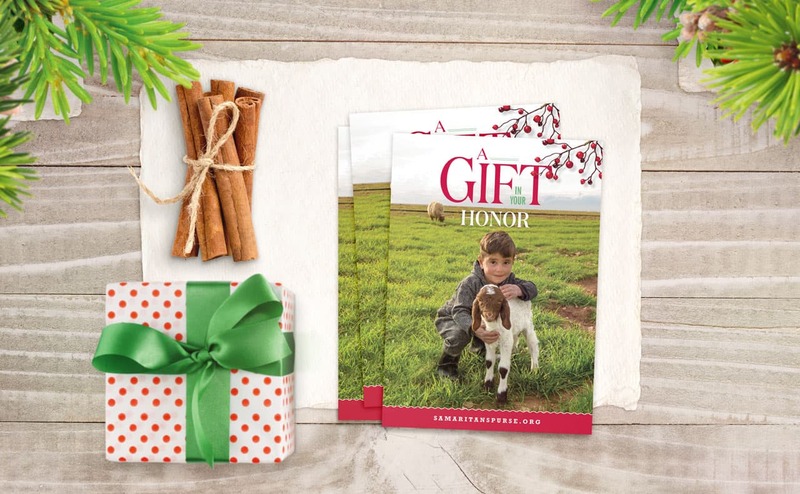 Samaritan's Purse will be glad to send beautiful honor or memorial cards to those you specify to let them know about your gift and how it is being used to transform lives and spread the hope of the Gospel. If you prefer, we can send you blank cards for you to personalize and mail.